The picture shows how I choose to remember him most…smiling. 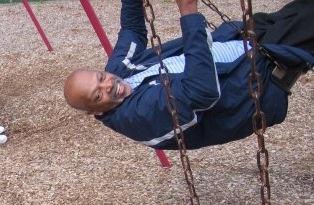 That smile lit up the lives of thousands of children that passed through his gym over the nearly 40 years that he taught physical education and coached many teams. At his wake, the room overflowed with people of all ages. Many I knew, but so many I had never met or even heard about, yet my father’s death moved every single one of them to tears. Here is just some of what I learned from him about being a teacher. 1. You can’t fool kids. If you don’t care or don’t like them, they will know right away. 3. Not everyone is going to work as hard or care as much as you do. But you shouldn’t let that slow you down. 4. Murphy’s always working, so you might as well not sweat the small stuff. *Murphy’s Law: Whatever can go wrong will go wrong. 5. Always have fun, but set the bar of expectations high. 6. A custodian is not any less of a person than a principal. Treat everyone with respect. 7. Have zero tolerance for bullying or any sort of put downs in your classroom. 8. Never be afraid to speak your mind at faculty meetings, board meetings, union meetings, or anywhere. 9. If you have a good idea, work hard to make it a reality no matter who or what stands in your way. 10. Don’t be in a hurry to retire. When my dad kept teaching past retirement age, colleagues constantly asked him when he was going to retire. He used to hate that. He loved his job. Once he retired, he said no one would call him Mr. Washington anymore, he would just be Mike. Well, there he was wrong. He never was just Mike, or “just” anything….and he never will be. Teaching is not a job that ends at the end of the day or at the end of the school year. It is a job that keeps working long after the teacher is gone and the students have moved on and grown up.